What makes you feel •ful•? Do more of the things that make you feel full of life, so let the greatness of nature reconnect you to the things that matter. We believe the answers to great health rest in nature. As a company that advocates for healthy living, we challenged ourselves to use our unique knowledge and resources of natural plant and botanical ingredients to formulate a clean and powerful plant-based product line designed to promote healthy living. We considered things that made us feel healthful, wonderful, beautiful, and, ultimately we found that all these qualities were rolled into the ultimate appreciation for nature and what our bodies can do. We will continue to deliver superior quality products you will feel confident giving to your family. 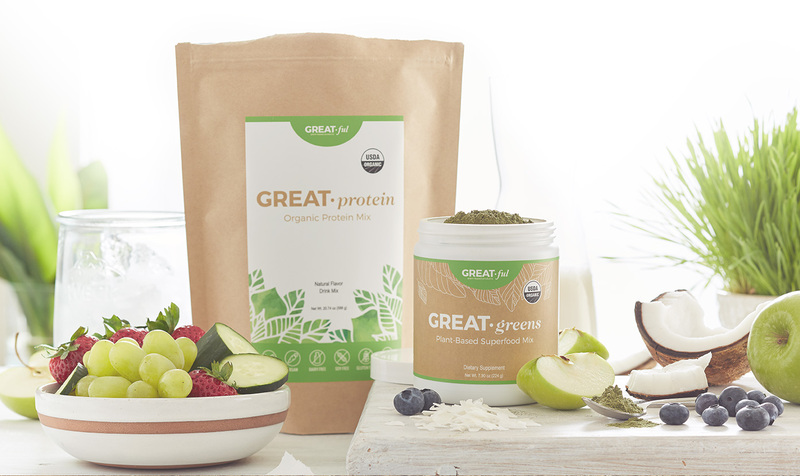 All the ingredients in the GREAT• line of products are entirely plant-based, non-GMO, gluten-free, vegan-friendly, certified organic whenever possible, and a clean, nutritionally sound complement to a healthy family’s diet.